Yale University Press, 9780300136074, 256pp. In 1941 the Food and Drug Administration approved the use of diethylstilbestrol (DES), the first synthetic chemical to be marketed as an estrogen and one of the first to be identified as a hormone disruptor—a chemical that mimics hormones. 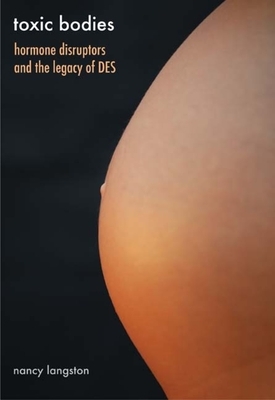 Although researchers knew that DES caused cancer and disrupted sexual development, doctors prescribed it for millions of women, initially for menopause and then for miscarriage, while farmers gave cattle the hormone to promote rapid weight gain. Its residues, and those of other chemicals, in the American food supply are changing the internal ecosystems of human, livestock, and wildlife bodies in increasingly troubling ways. In this gripping exploration, Nancy Langston shows how these chemicals have penetrated into every aspect of our bodies and ecosystems, yet the U.S. government has largely failed to regulate them and has skillfully manipulated scientific uncertainty to delay regulation. Personally affected by endocrine disruptors, Langston argues that the FDA needs to institute proper regulation of these commonly produced synthetic chemicals. Nancy Langston, a professor in the Department of Forest and Wildlife Ecology with a joint appointment in the Nelson Institute for Environmental Studies at the University of Wisconsin, Madison, was president of the American Society for Environmental History in 2007-9.